Our managing partner, Ben Rubinowitz and the Hon. Nancy Vaidik (Indianapolis, IN) will be the directors of the NITA’s National Session at the NITA Education Center in Boulder, CO from July 24th to August 1st, 2013. 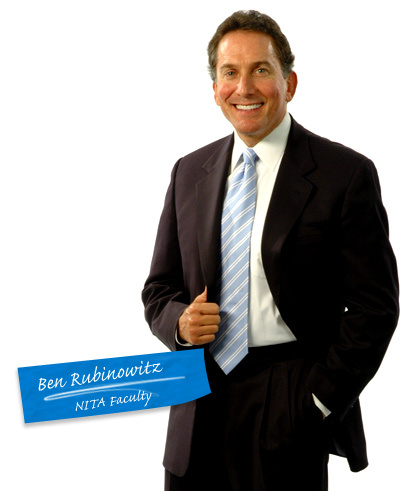 The National Institute for Trial Advocacy is a world leader in advocacy skills training and publication. The National Session is its most prestigious and longest running program. NITA’s National Session is a life-changing experience for the attorneys who have attended for the last 41 years and this year’s program is no exception. Ben Rubinowitz and the Hon. Nancy Vaidik (Indianapolis, IN) have developed this year’s program schedule to include dedicated drill rooms, motion training, focus groups, and jury selection.